2. Minutes of the 7th November. The formal meeting will be followed by an informal session with mulled wine or soft drink, mince pies and other seasonal nibbles. · Drop off area for garden waste carried in trailers. · Improved traffic management with the complete separation of neighbouring Grundon and Thames Water vehicle access, as currently they pass through the site. We have received reports in connection with people receiving “cold calls” from a company called G1 Security, who are trying to persuade people to purchase home security systems. The calls are usually from someone purporting to be from Crime Prevention UK and there is sometimes a suggestion that the company is responding to recent crimes in the area. In particular, the company tends to target elderly and/or vulnerable people. If the offer is accepted the company then progresses to using “hard sell” tactics to get people to sign up to monitoring systems. Prices quoted vary from “free” to a small selection of addresses as an advertisement for the company to £5000 – £6000 or more. If the system is offered “free”, there is still an administration charge. G! Security is not registered with any of the Security Industry Regulatory organisations. Sometimes they provide a genuine police incident number to give the impression that they are authorised by the local police. This is not the case as police never recommend specific companies as this would be totally unethical. We would always advise people to research any system requirements for themselves and not respond to cold calling. If a salesperson turns up at an address and refuses to leave at the residents’ request, they are committing a criminal offence and police can be contacted. If you would like totally impartial and free advice about your home security, you can always call 101 and ask to speak with our Crime Reduction Advisor, Mike Bessent. Mike is happy to make home visits by appointment and to give a professionally qualified assessment of security needs that is cost-effective, appropriate and realistic to individual needs. Thank you and please feel free to pass this information on to your friends, family and neighbours. 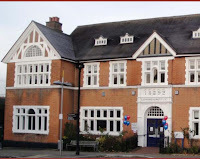 The Letherhead Institute at the top of the High Street was built in 1892 and given to the people of Leatherhead by local benefactor Abraham Dixon of Cherkley Court. Next year sees the commemoration of 120 years providing educational, social and recreational facilities within this beautiful Victorian building. Amazingly the Institute had already been there for 5 years when Queen Victoria celebrated her Diamond Jubilee and it will be bedecked again next year to mark the Diamond Jubilee of our own Queen Elizabeth II. 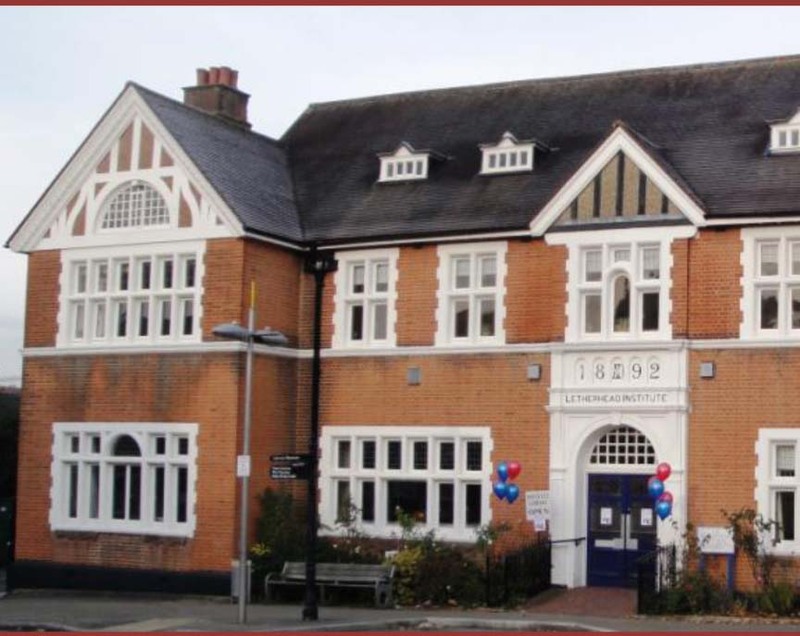 The festivities on 19 May will include an invitation for all the Leatherhead Community to come and see what’s inside the building; a special feature will be an exhibition including pictures and artefacts from 1897 – Queen Victoria’s Diamond Jubilee Year. Ray Ward’s articles in the Autumn Newsletter "Parking inconsiderately" has a photograph of traffic parked on both sides of Kingscroft Avenue, making it difficult for larger vehicles to pass along the road, and impossible for fire engine to get through and causing problems for bin lorries. On at least one pccasion, I am told, "they sent a small vehicle on a Saturday morning and they threw all the refuse and paper/card in together!!" This is hardly satisfactory. When restrictions were, quite rightly, imposed in Bypass Road some two years ago, could Surrey County Council (SCC) not work out that cars would simply shift into Kingscroft Avenue? In response to the article, I have heard from a resident in Linden Road where – believe it not – when parking restrictions were introduced two years back in several roads (such as Bypass Road) "restrictions on parking in Linden Road were relaxed"! And guess what the resident went on to say? "… since then there have been no end of problems with inconsiderate parking." Was it really beyond the wit of SCC to foresee that would happen? I am told that in response to complaints from residents in Linden Road, white ‘aitch-bars’ were painted in front of drives about six months ago; but as these things are not enforceable, "many drivers continue to park over them." More worrying still is the fact that this resident finds that when she tries to turn out of her drive "there is often … insufficient field of vision to do so safely (quite a concern with my two young sons in the car). There has been one crash and numerous near misses as a result." 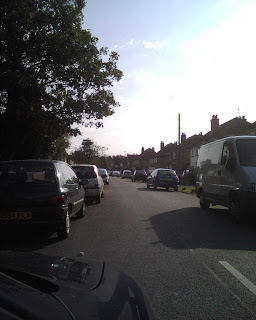 Three times in the past, "Fulvius", one of the Blog’s contributors and a resident of Oaks Close, has blogged about the problems of that road. Incredibly, when restrictions were introduced on neighbouring rounds about two years ago, nothing was done about the road closest to the station! Surely even the dimmest person could work out that problems in Oaks Close would increase? It was either beyond SCC to work that out or it didn’t care. I will not go over the problems with delivery lorries that Fulvius has high-lighted in the past. The problems with bin collections have continued and now the only way Mole Valley District Council can ensure refuse is regularly collected in Oaks Close is to have one side of the road coned-off every Tuesday evening and the cones removed the following evening. So, if anyone in Oaks Close is going to have their house on fire, they had better make sure it’s a Wednesday! If it were not so serious, this would be farcical. And I think it likely there are other streets besides just these three that have experienced worsening problems over parking during the past two years. It is not just that life is made difficult for delivery men, bin men and residents but people’s lives are being put at risk, whether because fire service or ambulance will be held up or because of a fatal accident as some one turns out of their drive. Do we really have to wait until there is a fatality or serious injury before something is done about the parking problems in these (and other roads)? We said at the time the restrictions were introduced two years back that it would only push the problem into other roads. How right we were! When are we going to have a proper comprehensive parking strategy for Leatherhead? Surrey Police in partnership with Eagle Radio have launched a campaign aimed at helping the county’s homeowners avoid becoming victims of burglary during the winter months. The county sees around a 33% increase in domestic burglaries between the months of October and December after the clocks have gone back and the evenings get darker. The campaign, titled “Burglars take more than you think – Don’t make it easy for them”, includes a short film and radio adverts urging the public to protect their homes and possessions and not to make life easy for burglars. The film features a young man, played by an actor, in a property you believe to be his own home. He’s taking a drink from the fridge and sitting on the sofa as he works from his laptop. As he prepares to go out he places the laptop in its case, gathers his “belongings” – a gold watch, mobile phone and money – and heads for the kitchen draw to collect his car keys. As he drives off the viewer sees how he came to be in the property in the first place as he is revealed as a burglar! A radio advertising campaign will run alongside the film featuring the views of home owners after they discover they have been burgled. Actor’s voices will portray the emotion and upset involved in having both sentimental and valuable items taken. This campaign follows on from Surrey Police and Crimestoppers coming together to launch “Cash for information” to encourage the public to pass on information anonymously about burglars and the handling of stolen goods in return for a financial reward if an arrest and charge is made. Temporary Detective Superintendent Maria Woodall said “As the clocks go back and it starts to get darker earlier, the number of break-ins goes up. It is known that burglars often target properties that appear to be unoccupied and therefore making sure your home looks and feels like someone is at home can be all that is needed to keep your belongings safe. · Light up your house – inside and outside. If you are out or away, use timer switches to turn internal lights on and off. · Make sure your doors are securely locked at all times. · Close and lock all windows – burglars can wiggle through any gap larger than a human head. · Fit locks at the top and bottom of patio doors. · A visible burglar alarm will make a burglar think twice. Make sure you set your alarm every time you leave your house. · Never leave garages or sheds unlocked. · Fit and lock gates across side and back entrances. 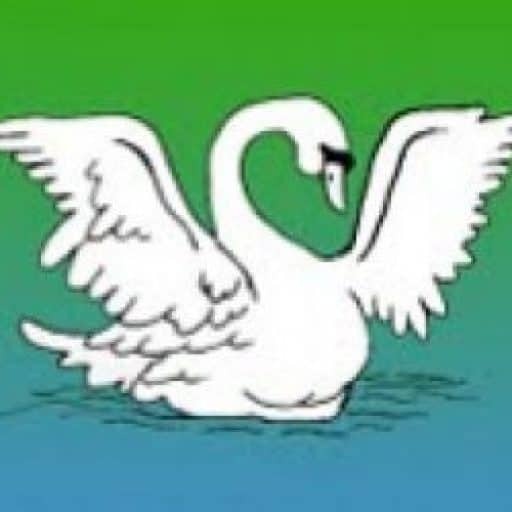 · Be alert to strangers loitering in the street, If you don’t recognise them and they are acting suspiciously, call the police. · Beware of bogus callers. Use a door chain and check the callers identity carefully. If in doubt, keep them out. · And finally, if a burglar does get into your home handbags, wallets and car keys are rich pickings so never leave these items in view. Today, LOCOG (London Organising Committee of the Olympic Games) has announced the journey of the Olympic Torch in the 70 days leading up to the start of the Games. 20 July – Godstone, Bletchingley, Redhill, Reigate, Dorking, Westcott, Shere, Godalming and Guildford. The Torch will stay in Guildford during the evening of 20 July for an evening of events at Stoke Park. Surrey County Council will be working with District and Borough Councils, Surrey Police LOCOG to make the torch relay run as smoothly as possible. This will mostly involve ‘rolling road closures’ that will be reopened as promptly as possible after the torch has passed along a street. More information about the impact on roads will be provided at a later date. To find out more about the Torch Relay, visit http://www.gosurrey.info/torch-relay.